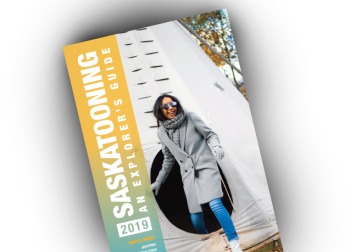 Tourism Saskatoon released its 2015-2019 strategic plan, laying out the roadmap for increasing Saskatoon's presence as an ideal destination for business and leisure travel. Maximize return on investment to our Destination Marketing Program partners, government funding agencies and other major partners/shareholders. Increase recognition of the Tourism Saskatoon brand locally, and Saskatoon as an excellent host city nationally and internationally. Define and expand Tourism Saskatoon's role in product and policy development. Increase the awareness and engagement of members, shareholders and the community at large. Implement and market environmental stewardship by our members. Tourism is the world’s largest industry, with international travel receipts totalling $1.159 trillion in 2013. It is attracting significant investment from new and emerging economies whose sole focus is to increase export revenues through tourism. While Canada remains a strong global destination brand, this new competition has led to a decline in our position. Canada now ranks 16th in International Tourist Arrivals where once we were a leader. This Strategic Plan will guide our efforts to prove our relevance in the global marketplace, while continuing to serve our domestic market.